More on the gallery show here. 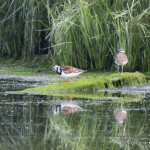 Muhammad Faizan was nice enough to share these Ruddy Turnstone “identification shots” from this morning — taken from across Teal Pool. 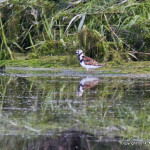 Rob Fanning reports this appears to the first reported eBird sighting of a Ruddy Turnstone in Bergen County. 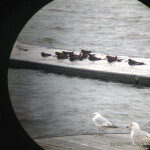 Bird was found by Chris Takacs. 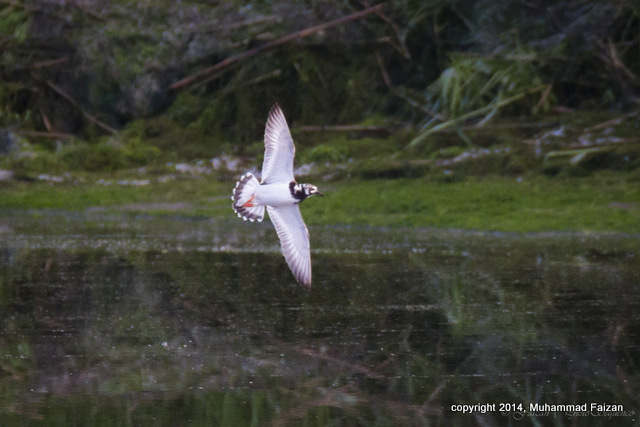 Chris Takacs found a Ruddy Turnstone this morning at DeKorte. 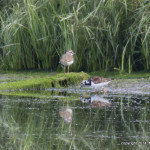 It is being seen now in Teal Pool, same area where the Cinnamon Teal was. Whimbrel also seen at DeKorte yesterday, as well as various out-of-season ducks. “Grab shot” is above. Muhammad Faizan is taking photos, and i hope to post his later, so stay tuned. Just passing along a few pics from the river Wednesday. 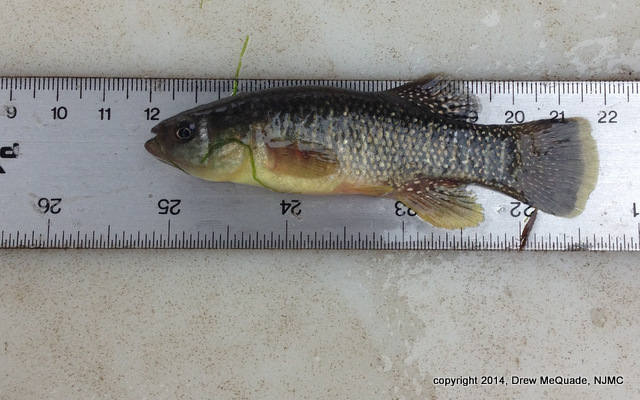 Above is The first is a male mummichog in its spawning colors. 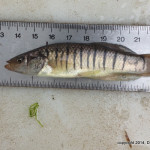 The second and third show the sexual dimorphism between female and male striped killifish. 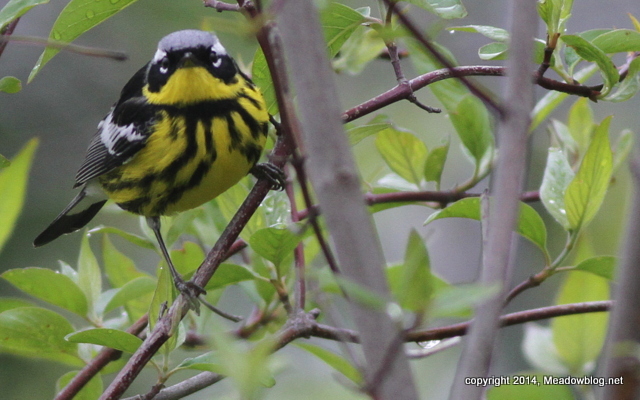 Birds aren’t the only animals that vary between the seasons and the sexes. 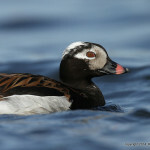 Here are some images of a very cooperative long-tailed duck found at the Kearny Marsh on Thursday. 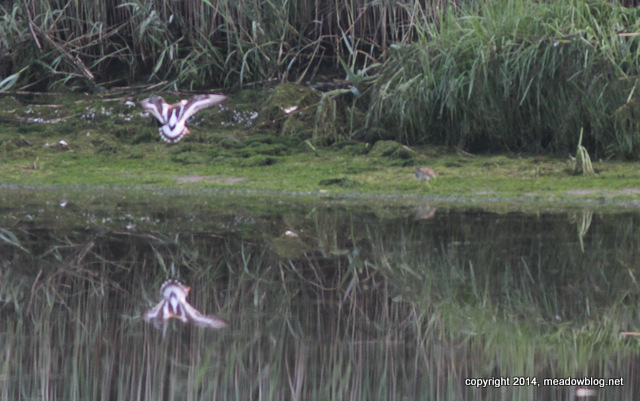 It was a solitary bird found in the open water area of the marsh. A very curious customer, it allowed an extremely close approach before it flew off toward the turnpike into the wind. At times, it actually swam toward me. I would think that it was just passing through the area. 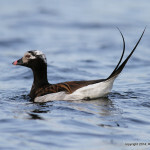 Doug Morel saw one at DeKorte in March this year. Link is here. 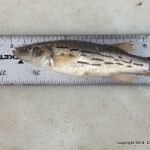 Jill Homcy and others saw one at Laurel Hill in January. Link is here. Other sightings include at DeKorte and Laurel Hill in 2011. 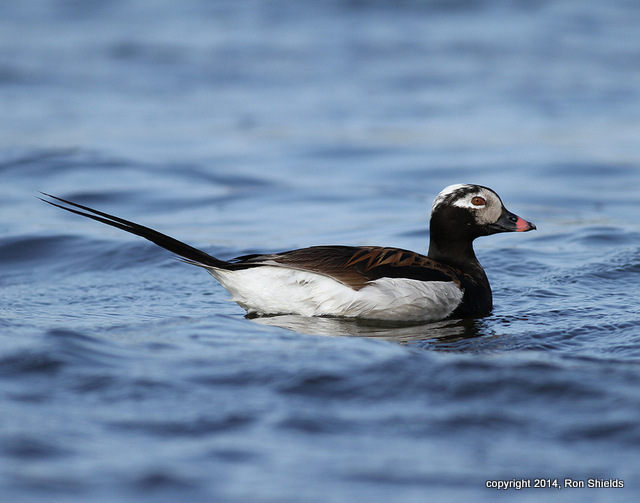 More on Long-tailed Ducks here. Please e-mail us if you see this guy! 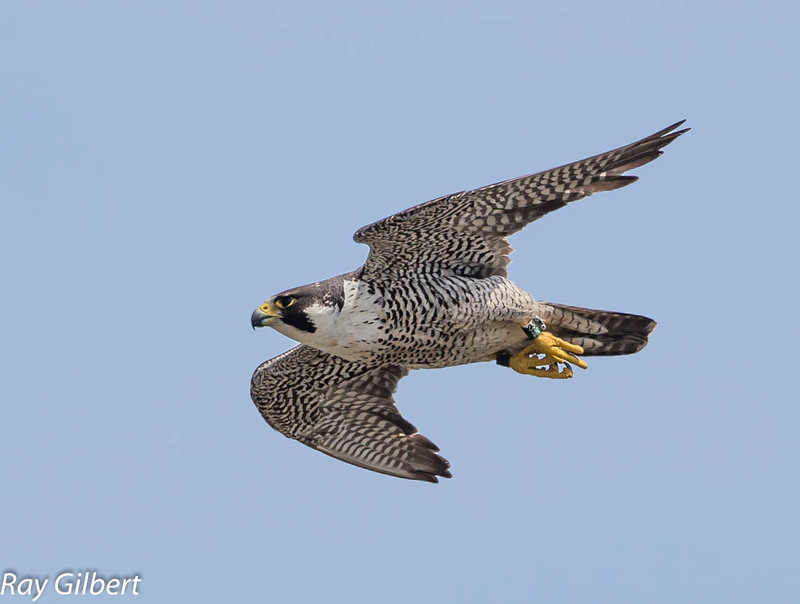 Ray Gilbert got this recent shot of an adult banded Peregrine Falcon in the Meadowlands. Thanks to the band, Ray was able to determine it was the same Peregrine that Mike Girone photographed last year.